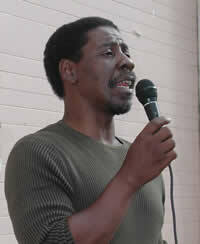 Anthony Thigpenn has been involved in neighborhood organizing and public policy advocacy for 30 years. He is the founder and president of Strategic Concepts in Organizing & Policy Education (SCOPE), a social justice organization based in South Los Angeles. Mr. Thigpen also founded the Alliance of Local Leadership for Education, Registration, and Turnout (ALLERT), a community/labor coalition. He currently leads California Calls, an alliance of 31 organizations in 11 key counties working to win an economic justice agenda for all Californians.